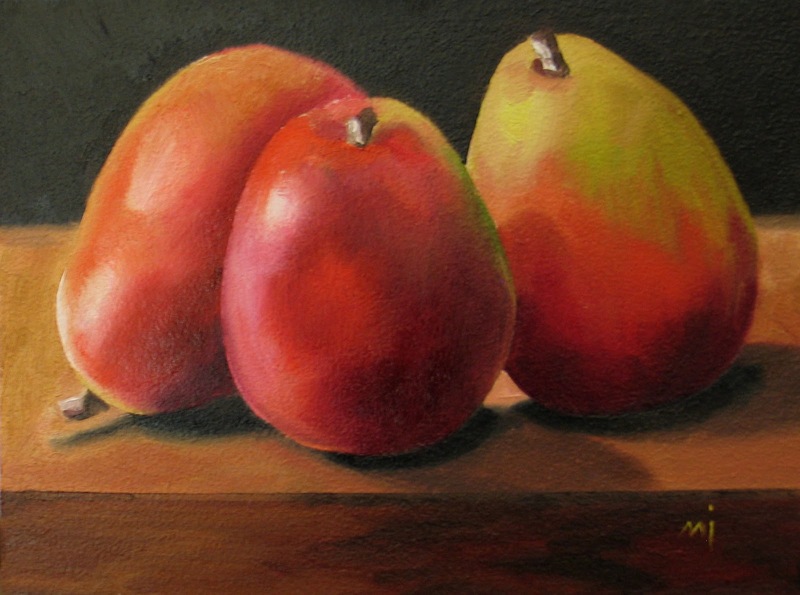 I took some artistic license with this one, and reduced the size of the first pear on the left. It's actually the size of a mango. In fact, when I first saw it, I thought it was a mango. These guys are so pretty, there may be just one more painting in them. A few dings, which can be hidden in paint, but good, I think, for one more day.